Ohio State requires you to hold insurance cover for your vehicle to protect you from costs that you may incur in case of accidents. Read this article to get more information on Ohio car insurance requirements, rates, laws and discounts. NOTE: Ohio car insurance laws do not require you to purchase collision and comprehensive insurance. But these two insurance coverages are required if you are financing your car through a loan or lease agreement. When registering your car in Ohio, you are required to provide a signed statement to prove that you have purchased the required car insurance. You must provide your proof of insurance if you are involved in an accident that caused property damage worth $400 or more, or injuries whether serious or not. You are also required to provide proof of insurance when you are stopped by traffic police. If you fail to provide proof of insurance when you are stopped by traffic officer, you will be given up to 15 days to explain why you had no insurance at that time or face some penalties. The Bureau of Motor Vehicles is the body that ensures that all registered vehicles are insured. This body conducts random insurance verification for all vehicles registered under them. So if your vehicle is selected, you will be required to submit the proof of insurance to this body. If you are selected, BMV will send you a notice by mail and upon receiving this notice, you will be required to submit proof of insurance within 21 days. If you have any issue on this program, you can get in touch with BMV using the hotline (877) 315-6605. Mandatory filling of SR-22 insurance. The Ohio Automobile Insurance Plan (OAIP) is the body that helps high risk drivers to get car insurance. If you are one of these drivers and if you are denied for car insurance by Ohio car insurance companies, you can apply for insurance through Ohio Automobile Insurance Plan. All car insurance companies in Ohio must join this organization. 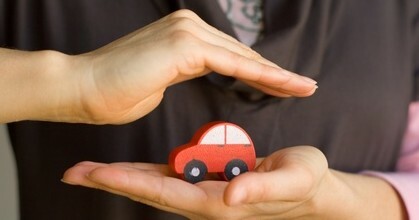 This organization therefore shares the risk of providing insurance coverage to high risk drivers. Because of the risks involved, insurance coverage through OAIP attracts higher premiums. The Ohio Department of Insurance (ODI) is the department that is responsible for enforcing Ohio car insurance laws. This department helps resolve disputes that you may have with your car insurance company. This body also deals with issues related to car insurance frauds. Force your car insurance company to solve a dispute if no car insurance laws were violated. If you intend to launch your complaint through ODI, then do it through their hotline (800) 686-1526 . You can help fight car insurance frauds by reporting any suspected car insurance fraud to the authorities involved. Report any suspected car insurance fraud online at the ODI website. Discounts can lower your car insurance rates, but greatest way is by keeping a good driving history.